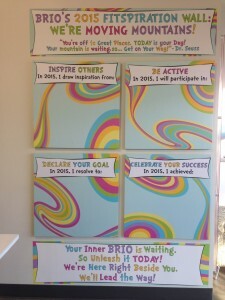 The Baudry Therapy/ BRIO team wants to help you accomplish your 2015 goals – whether that means losing weight, becoming pain-free, running a marathon, or writing your name without help! No goal is too large or too small. 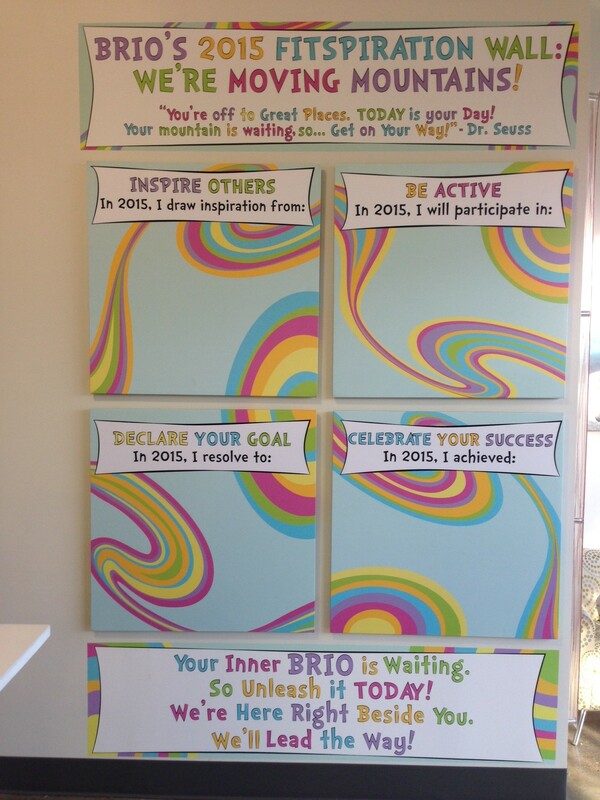 We’ve designed a BRIO FITSPIRATION WALL at our BTC/ BRIO facility to help you track your goals, analyze your activity and celebrate your successes! We’re here to help you Move Mountains! We encourage you to come in today and get involved. We’ll ask you to grab a postcard and declare your goal, write inspirational words to fellow clients, or commit to an event in which to participate. Not sure where to begin? Ask one of our therapists or health experts to help develop a roadmap for your journey. We guarantee that our team, along with your peers, will help keep you motivated so you can conquer your 2015 goals. For more information on the 2015 Fitspiration campaign, CONTACT US TODAY!